Members' Voluntary Liquidation of Mequity Assets Pte. Ltd. Completion of Members' Voluntary Liquidation of Subsidiary, RL Developments Pte. Ltd. Completion of Members' Voluntary Liquidation of Mequity Pte. Ltd.
Members' Voluntary Liquidation of RP East Pte. Ltd. Completion of Members' Voluntary Liquidation of Subsidiary, RH East Pte. Ltd. Completion of Members' Voluntary Liquidation of Subsidiary, RL Central Pte. Ltd. Increased Investment in Subsidiary, Roxy-TE2 Development Pte. Ltd.
Members' Voluntary Liquidation of RP Changi Pte. Ltd. Increased Investment in Associated Company, RH Novena Pte. Ltd. Increased investment in Associate Company, RH Guillemard Pte. Ltd.
Incorporation of TE2KS-RH Pte. 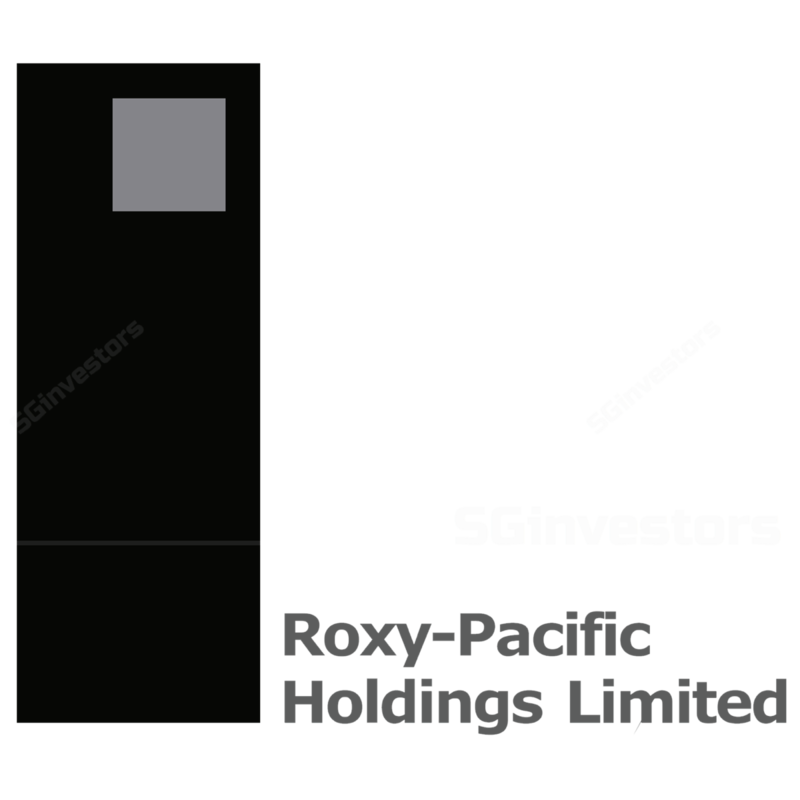 Ltd.
Incorporation of Roxy-TE2 Development Pte. Ltd. Increased Investment in wholly-owned subsidiary, RH Developments Two Pte. Ltd.
Members' Voluntary Liquidation of Mequity Pte. Ltd.
Members' Voluntary Liquidation of RL Central Pte. Ltd. and RL Developments Pte. Ltd.
Incorporation of RH Developments Two Pte. Ltd. Increased investment in wholly-owned Subsidiary, RH Capital Two Pte. Ltd. Increased Investment in Wholly-Owned Subsidiary, RH Developments Pte. Ltd.
Incorporation of RH Guillemard Pte. Ltd.
Members' Voluntary Liquidation of RH East Pte. Ltd. and Mequity Two Pte. Ltd. Increased investment in RH Orchard Pte. Ltd.
Incorporation of RH Capital Two Pte. Ltd.
Joint Venture Agreement and Increase in Shareholdings in RH Capital Pte. Ltd. Increased Investment in Wholly-Owned Subsidiary, RH Orchard Pte. Ltd.
Incorporation of RH Capital Pte. Ltd.
Acquisition of properties through subsidiary, RH Eunos Pte. Ltd.
Incorporation of RH Developments Pte. Ltd. Increased Investment in Wholly-Owned Subsidiary, RH Eunos Pte. Ltd.
Acquisition of Freehold Residential Site Through Subsidiary, RH Eunos Pte. Ltd. Increased Investment in Wholly-Owned Subsidiary, Roxy Capital Pte. Ltd.
Incorporation of RH Eunos Pte. Ltd.
Incorporation of Roxy International Hotel Holdings Pte. Ltd.